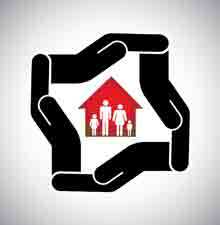 What Do You Mean by Asset Protection? Asset protection becomes a crucial issue when you have been admitted to, or need to be admitted to, a long-term care facility. With the costs of long-term care skyrocketing, often topping $5,000 to $10,000 per month, you might suddenly learn that because of the assets you have built over the years, you are ineligible for Medicaid benefits that would pay for nursing home or other types of long-term care. This means that your only ability to pay for long-term care is from your life savings, your home, and your other assets that you have accrued over time. Your most urgent question is likely to be how you can possibly afford long-term care and still retain some or all of your assets. 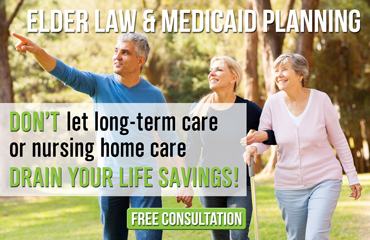 In this situation, you need the services of an experienced Medicaid planning lawyer who knows how to protect your assets and ensure that you can still afford the long-term care that you need. With so much incorrect information out there, you need to know what legal strategies exist that can help solve your problems during this difficult time in your family’s life. There are many options to handle a situation like this, in which we may be able to preserve some or all of your assets. After examining your situation, we can tell you how much money we can save you, and when you or your loved one will be eligible for Medicaid benefits. However, delays can be disastrous to your case. Don’t spend all of your hard-earned assets before you contact us; it can be too late at that point to preserve your assets. The Michigan asset protection lawyers of Law Offices of The Elder Law Firm PC know how important it is to look to your future and protect the assets that you have worked so hard to attain. Our attorneys are dedicated to protecting your assets and those of your loved ones, no matter what your circumstances may be. We handle these types of cases on a daily basis, and we know how to create a plan that works best for you. Call us today and see how we can help.